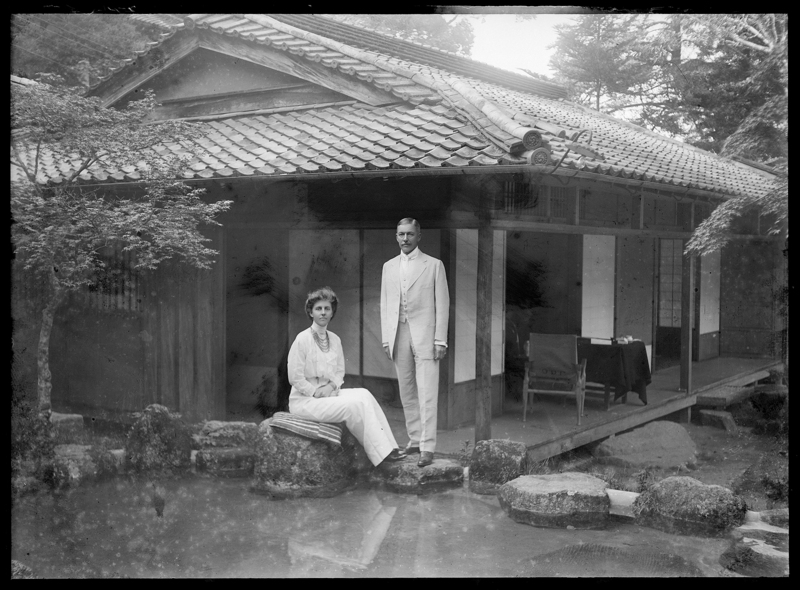 This 1913 photo depicts John Gardner Coolidge and his wife Helen Stevens Coolidge in Miyajima, Japan. As a United States diplomat in the early 20th Century, John Gardner Coolidge often documented his international travels himself, making good use of his camera and “mobile” darkroom. 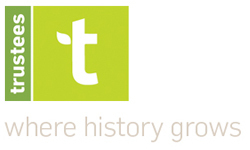 The result is a surprising treasure trove of images of international landmarks and events, offering a unique perspective of the world well before tourist travel was common. John Gardner Coolidge was a descendant of Thomas Jefferson and a nephew of Isabella Stewart Gardner, and served as an American diplomat in posts as far-ranging as Pretoria, Mexico, Nicaragua, Europe, and Asia. His wife Helen Stevens Coolidge often accompanied him on his missions. Items in this collection include images of China from the early 1900s, including a tourist-free view of The Great Wall of China and the Royal Apartments in the Forbidden City, photos of the Spanish American War and Boer Wars, as well as ephemera and documents relating to Coolidge’s Foreign Service. See more items from Stevens-Coolidge Place.